Snow was flurrying past my window this morning as I yawned and stretched my way into the kitchen to make breakfast for my friends. I could have left my clock up. 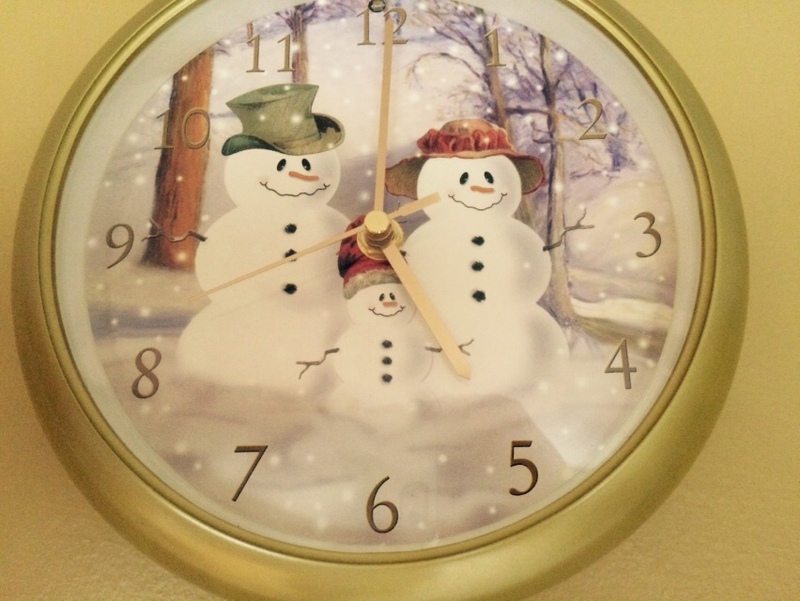 The minute Thanksgiving is over I replace my usual kitchen wall clock with this quirky little snowman number. I leave it up until March 1. Usually. The beauty of this clock is that it plays a different Christmas carol at the top of each hour. Sixteen or so happy, joyful little infusions into my day. I say sixteen or so because the clock has a light sensor, preventing happy, joyful intrusions into my sleep. When the kitchen is dark, the clock is quiet. “Chestnuts Roasting on an Open Fire” is heard in the background. The hub and I quote movie scenes to one another. PLUS, I would point out, it isn’t a Christmas clock, it’s a snowman clock. As long as there is snow flying, the clock is perfectly fine. It snows well past March 1 here, but I’m not unreasonable. So the deal was struck: The clock stays until March 1. But this year, no one said anything. So I let it ride. I let it ride all the way until the snow started to melt and it looked like Spring might actually come after all. So on March 25, 2015 I took the clock down all on my own without a word from anyone. And I kinda’ miss it. And then this morning, as I stretched and yawned my way into the kitchen to make breakfast for my friends, SNOW was flurrying past my window. My beach is going to be somewhere in April, and I can’t wait! They’re predicting flurries here in the next couple of days. I don’t usually complain about weather, because, you know, doesn’t help. 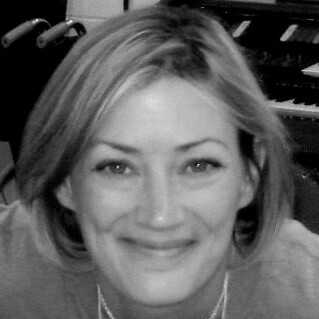 But I have to say I’m heartily tired of being cold, and I’m looking forward to the sun and the sand and the surf. Thanks Linda. No warm, sunny vacation for us this year, we’re putting all our discretionary dough into our upstairs remodel. I’ll have to vacation vicariously through you. So have a GREAT time for both of us!